Here’s a complete list of all the roster changes for each team. Note that these are the changes as of the final roster from last season, so a player might be listed as “In” even if he played for that team during 2016. 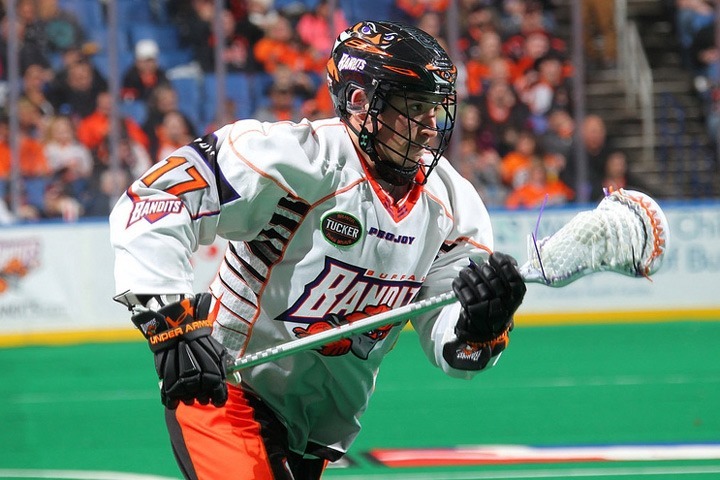 The Bandits have the fewest changes of any team in the league. They went to the finals last season, so that makes sense. Added to the lineup are veterans Craig Point and Brad Self, while Culp and face-off specialist Thorimbert head to New England and Tyler Ferreira to the rival Knighthawks. 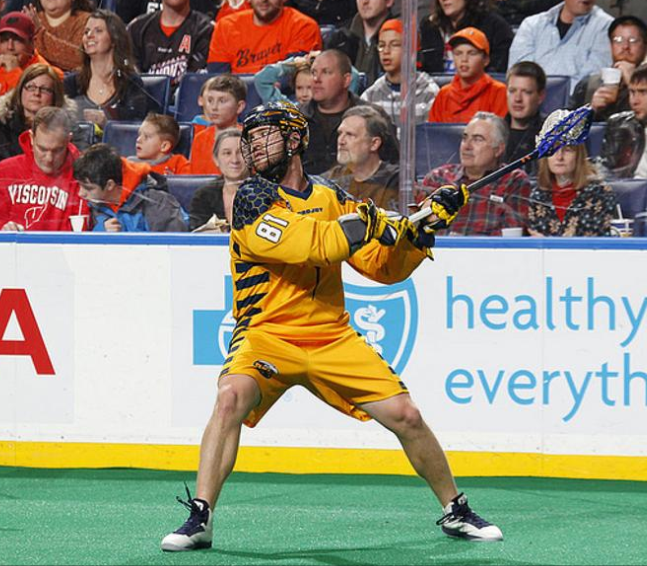 A few big names start the season on the injured list for the Swarm. Newcomer Jordan Hall should help boost the offense and Mike Poulin gives the Swarm a solid #1 goalie, something they haven’t really had since… well, a long time ago in a state far, far away. Defender John Ranagan joins from New England and five rookies also made the team. A couple of fairly significant changes for the Black Wolves. The versatile Jordan Hall is now in Georgia, while Jay Thorimbert and Chad Culp bring their veteran smarts from Buffalo. Reilly O’Connor also arrives from Calgary, and Scott Self helps to shore up an already-strong back end. Hopefully Evan Kirk has another strong year, since backing him up with be rookie Doug Jamieson instead of Tye Belanger. Then again, Evan Kirk’s rookie year was rather impressive so the fact that Jamieson is a rookie may not matter. Lots of changes for the Knighthawks, some of them temporary. 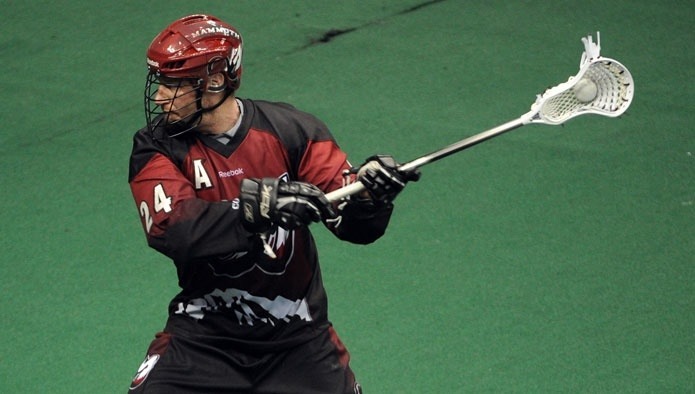 Joe Walters is out for the year after committing to the MLL. Also out is Craig Point, who only played four games last year but amassed 18 points, good for the third highest points-per-game average on the team. Jamieson, Bomberry, and Vitarelli will hopefully be returning to the lineup before long, and the oft-injured Andrew Suitor would be a welcome addition as well but also starts the year on the IR. In the meantime, Jarrett Davis returns from out west and Quinn Powless hopes to play a full season. NLL sophomores Luc Magnan and Tyler Ferreira help to strengthen a defense that is missing both Self brothers, John Sullivan, and the retired Mike Kirk. When you lose two of the top four offensive stars of all time in the same off-season, who do you replace them with? How about Americans who have never played a box lacrosse game in their lives? Doesn’t sound like a great plan but having watched Kieran McArdle and Tom Schreiber in the pre-season, it may not be that bad. But losing Doyle and Sanderson isn’t even the biggest loss for the Rock, points-wise. Rob Hellyer scored 27 points more than Doyle and Sanderson combined in 2016, but will miss all of 2017. Brett Hickey returns from an injury that cost him the last six games of 2016, so that will certainly help, and Mikey MacDonald has looked really good in the pre-season as well. Challen Rogers will join the returning Damon Edwards, Brodie Merrill, and Jesse Gamble to form one of the best transition units in the league. 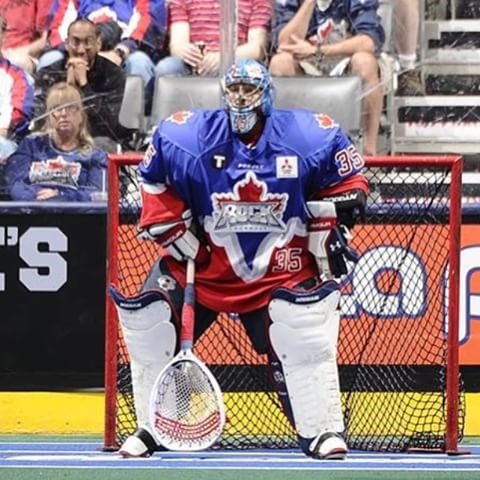 Another question is in net where Steve Fryer, with all of 60 minutes in his NLL career, replaces Brandon Miller who’s recovering from hip surgery. Oh, and the Rock are the only team to make a coaching change this season. Seems like there isn’t much about the Rock that didn’t change. Just a couple of changes for the Roughnecks. Riley Loewen joins from the Rush replacing Riley O’Connor, who was traded due to league rules that prohibit two Rileys on the same team. Peter McFetridge is now in Vancouver and veteran goalie Mike Poulin signed with the Swarm. Frank Scigliano and second-year-player-but-still-a-teenager Christian Del Bianco will likely split the goaltending duties. 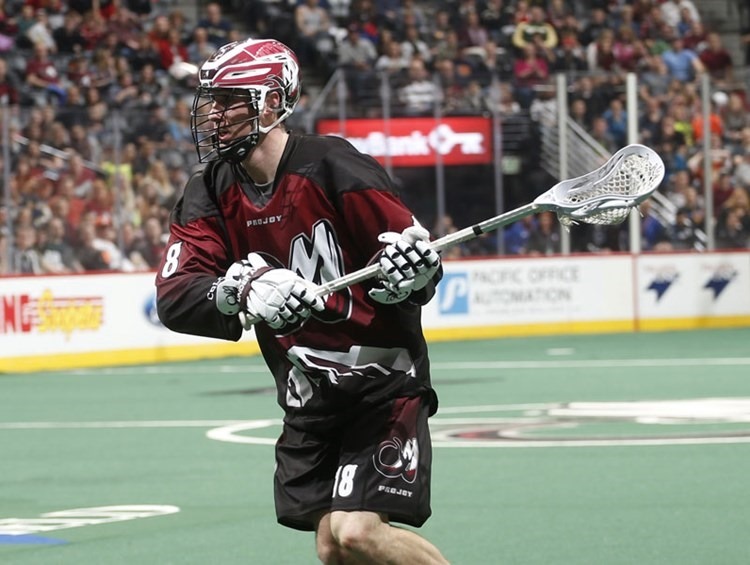 One big change for the Mammoth: Adam Jones was sent to the Rush for constant scoring threat Zack Greer. Losing Jones hurts but who has Greer score the most points against in his career? The Mammoth. They’ll be glad to have him on their side for a change. The best get better? Possibly. Adam Jones scored two fewer points than Zack Greer last season, but played two fewer games because of work commitments. Hopefully playing in Canada will eliminate those missed games. Ryan Keenan was the first overall draft pick for a reason, and it sounds like the Rush players are very excited about his presence. Highly-touted rookie Mike Messenger replaces John Lintz in the Rush defense. Having Billings and Conway on the IR to start the year won’t help, but from Teddy Jenner’s interview with Conway a week or two ago, it sounded like his debut in the Stealth lineup wouldn’t be delayed for long. McMichael was traded east, Moleski retired, and Cliff Smith will miss at least part of the season due to work commitments as he attempts to start a career in law enforcement. The revolving door of Stealth goaltenders continues as Tye Belanger gets the nod as Tyler Richards’s backup. Grabbing a solid veteran defender from a division rival isn’t easy but Doug Locker did it twice this off-season. John Lintz and Pete McFetridge will make a big difference in the Stealth back end. The NLL is back! Actually, I’m a week late with that since almost every team played at least one pre-season game last weekend, but this is the first one I was able to see. Saturday night’s tilt at the TRAC involved the Mammoth taking on the Rock, and it was interesting to see a couple of different coaching decisions on who plays. The Mammoth had a slightly different approach, as Zack Greer, Ilija Gajic, and Callum Crawford didn’t play at all (though I saw Crawford at the rink), and John Grant only played the first half. Starting goaltender Dillon Ward was also in the building but didn’t play at all; Zak Boychuk and Alexis Buque split the goaltending duties. It was an entertaining game – back and forth in the first half and then the Rock pulled away and the Mammoth never really got back into it. But as we all know, it’s the preseason so coaches care less about whether they win or lose the game and more about what they see from their players. The game was intense enough to look like a regular season game. There were no fights and few penalties, but the players were playing hard. Sorry Mammoth fans, but I did pay a little more attention to the Rock, as I tend to do. Toronto’s offense looked good, even without Josh, Colin, and Rob Hellyer. It was great to Brett Hickey back in form, and Kasey Beirnes continues to be one of the hardest-working forwards in the game. Stephen Leblanc played, but I didn’t really notice him all that much. That may be unfair though, since I was mainly concentrating on the new guys, Mikey MacDonald, Tom Schreiber and Kieran McArdle. MacDonald had a cup of coffee with the Black Wolves last year, only picking up one assist in two games, but has had a great preseason with the Rock. Not sure he’ll be another Brett Hickey, scoring 50 goals out of nowhere, but should be a welcome addition to the front end. Schreiber looked good, a big bull-in-a-china-shop kind of guy. He wasn’t worried about going around defenders or finding an open lane, he’d just push through and make an open lane for himself. He was working hard but that said, he couldn’t hit the net. He must have had 10-12 shots but most missed the net entirely and I don’t think he scored any. I was really impressed with McArdle. He scored a couple, at least two on passes from Schreiber, but had a mittful of assists as well. He really looked comfortable in the offensive end and made some really dynamic plays, impressive for someone so new to the box game. 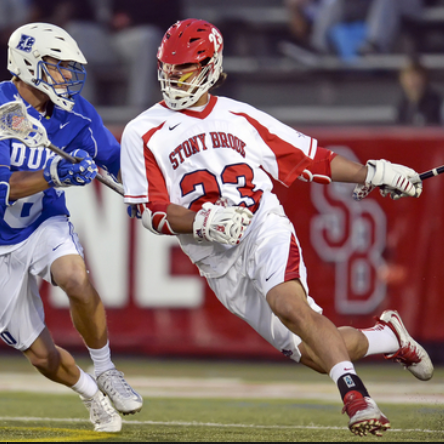 (Not that field lacrosse players don’t make dynamic plays, but they’re different.) At one point in the second, he took a shot which missed the net, grabbed the rebound and shot again, and then grabbed that rebound and shot again. Three shots in about five seconds. Another new face I was watching was draft pick Challen Rogers. Rogers is a big, solid defender but also has some speed up the floor on transition. I liked what I saw from Rogers, which was a lot since he was everywhere and seemed to get a lot of floor time. With Rogers, Gamble, Edwards, and Brodie Merrill (who, at 35, still has some serious speed), Toronto’s transition could match up against anybody’s. For the Mammoth, I did notice Greg Downing a lot, and Jeremy Noble played a lot as well. Noble made an outstanding interception of a Nick Rose outlet pass, jumping and stretching his 5’9″ frame as far as it would go. Don’t remember if it led to a goal, but was a great play nonetheless. John Grant only played the first half, but scored three including a patented over-the shoulder shot. There are times every now and again when Grant seems to be able to simply score at will, or almost force plays to happen the way he wants them to. There was a 3-4 minute span in the second quarter where he seemed in total control. He’s the oldest player in the league, three years older than the next oldest and ten years older than his next oldest teammate, but after all this time, he’s still John Grant. At one point Challen Rogers was defending John Grant, and Grant spun away from him and scored. Rogers looked frustrated for losing him but as I tweeted to him at the time, don’t worry about it. He beats everybody. Jordan Magnusson seemed to get a lot of floor time, and I thought he played hard and looked pretty good. Latrell Harris made some good plays but at other times looked lost, as if he wasn’t sure who to defend or what to do. Dan Lintner’s second goal was a beautiful reverse backhand sort of thing. Lintner also looked good though now that I think about it, I don’t remember seeing him in the second half. Nick Rose must have been working on outlet passes in the offseason. He’s really becoming a master. He’s no Bob Watson yet, but was pretty accurate on passes to teammates up near centre. You know how you see players chewing on their mouth guards while on the bench or between plays? Rogers was chewing on his during play. Doesn’t that defeat the purpose of the thing in the first place? Alexis Buque played really well in the second half, making a few outstanding saves. He didn’t look like someone trying to make the team as a backup goalie, he looked like he wanted that starter’s job.